ArthiAid Omega from Nutriscience is an excellent joint supplement for dogs, and helps maintain and replenish healthy cartilage using a variety of key ingredients. The liquids are available in a range of sizes and are a tasty caramel flavour, and the soft chews are like tasty treats - ideal for rewards with the same high quality ingredients. 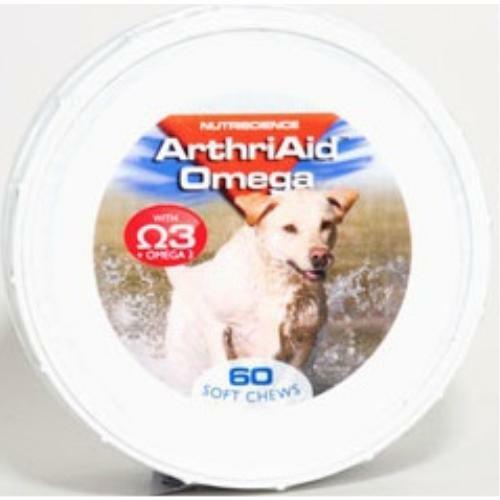 ArthriAid Omega is a supplement that supplies the necessary building blocks to help the body’s own natural manufacture of cartilage. Glucosamine is an amino sugar which is the starting point for the production of new cartilage - it stimulates production of new cartilage.